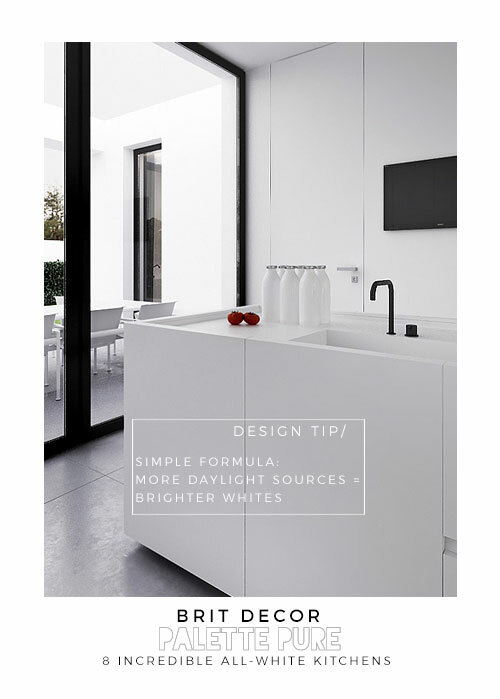 Pure white kitchen schemes may seem like the simplest of colour palettes to deliver but be aware that applying a complete 'white-out' with little or no pre-planning, can deliver a sterile-looking space. 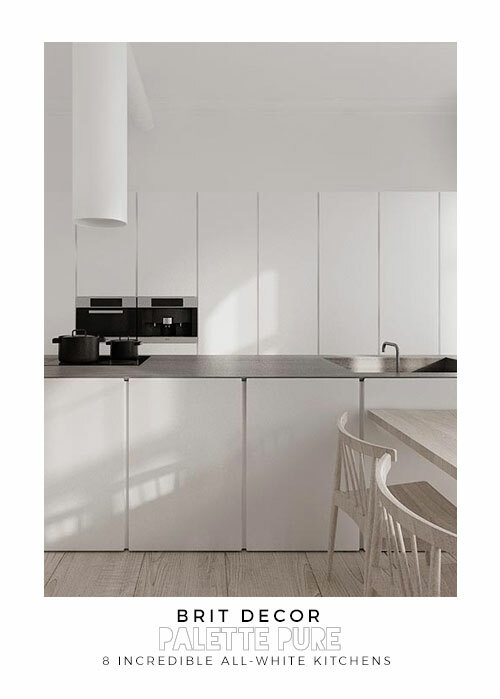 These incredible all-white kitchens show just how sophisticated 'subtle' can be when fused with considered design details - this can make all the difference between a spectacular room and a spectacular fail! 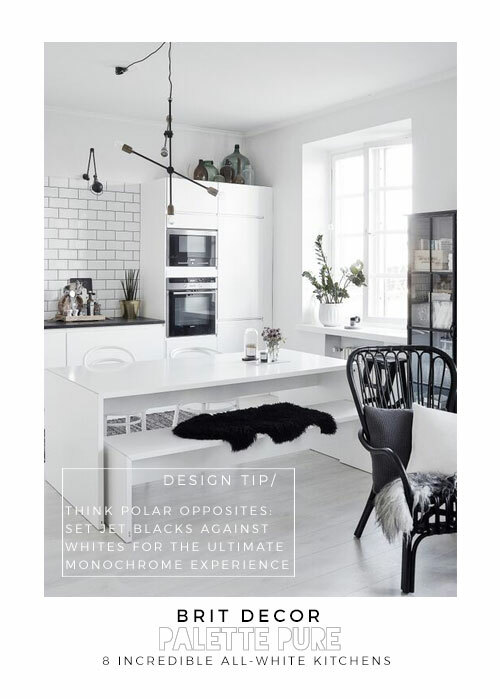 I love the light intensity that's created when pure whites are exposed to strong light sources for the ultimate in uplifting - with the caveat that it's always useful to have the design mechanisms in place to be able to turn down or filter out the light for those slightly more chilled moments. 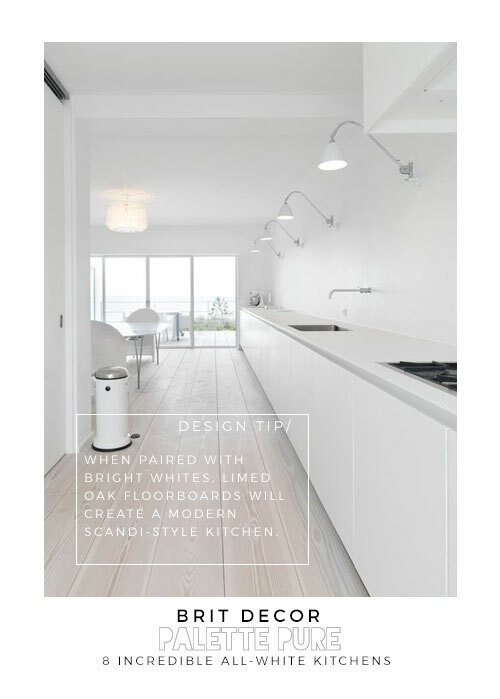 All-white schemes need not appear cold - a rather beautiful design solution which can be applied to combat this is to merely add some warming wood tones for a Scandi-style kitchen. 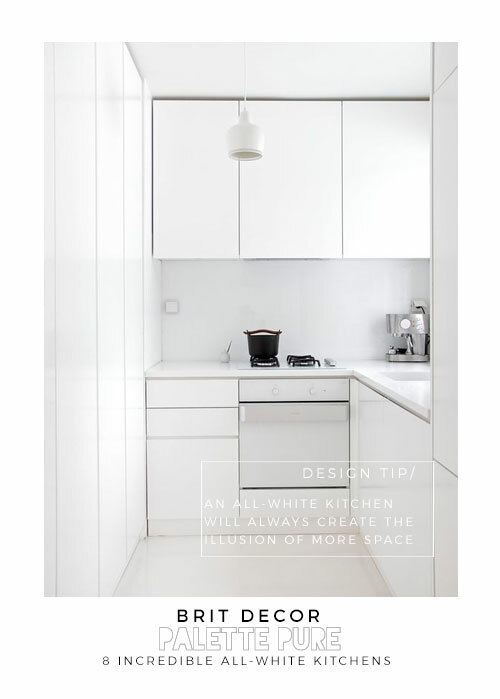 Talking of solutions, whilst it's no longer a well kept secret, white schemes are a god-send when it comes to spatially challenged kitchens. 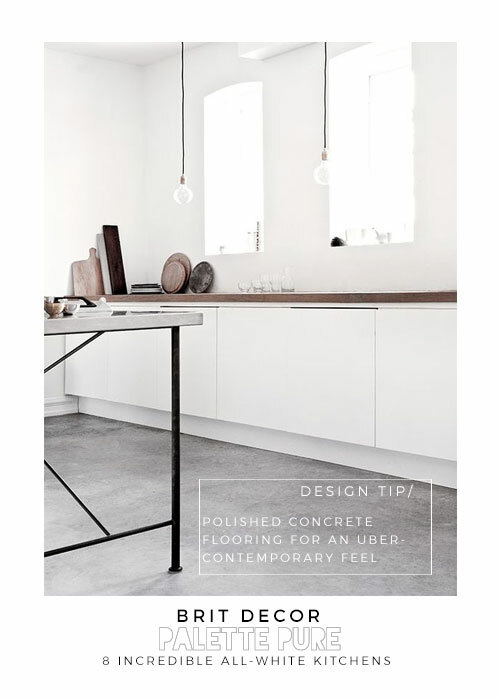 Their brightness and simplicity immediately creates the illusion of a slightly larger space - win! 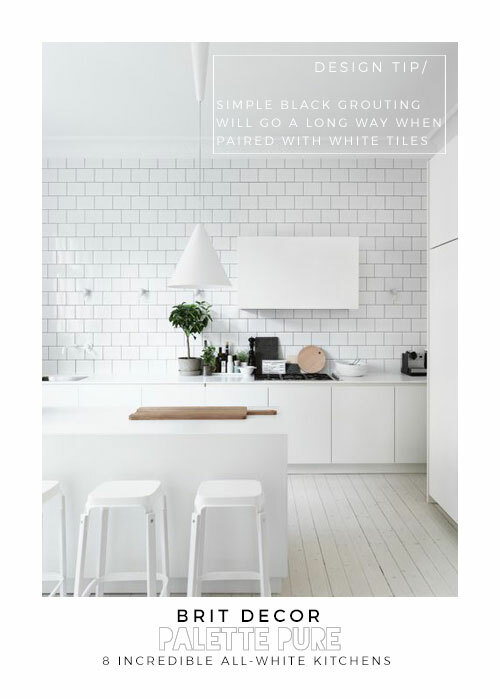 Have you gone all-out white in your kitchen? Would you consider having one of these schemes in your home? 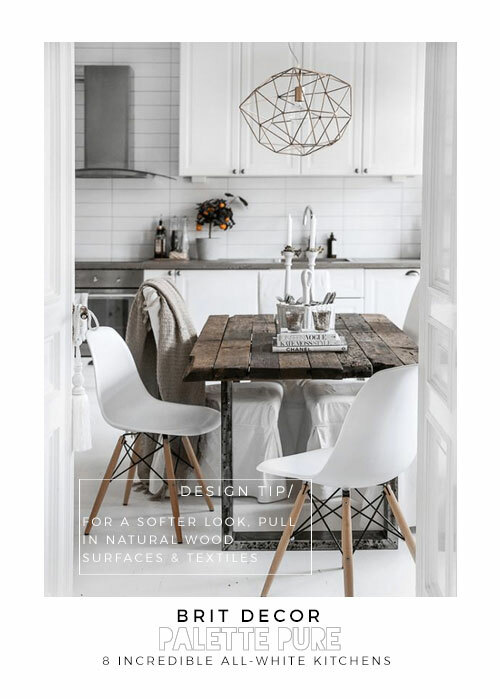 Love these all white kitchens especially teamed with the worn rustic woods or smooth concrete flooring, the added textures make a real difference and avoid the white box look!